As Chief Financial Officer, Tom oversees all Financial, Accounting, IT, Compliance and Human Resources functions at Armor Express. He has full P&L responsibility, with a focus on instituting best practices and improving processes to enhance financial reporting, costing and analysis, IT system requirements, and overall talent management and acquisition. Tom is a key member of the senior management team and provides strategic direction on all financial and business initiatives. 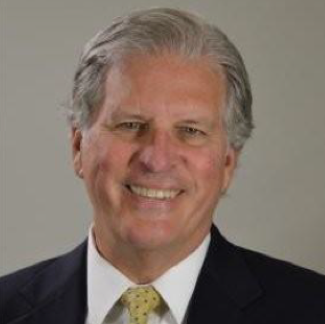 Tom brings close to 40 years of financial and operational management experience in the manufacturing and defense sectors, having served in a number of senior executive roles at Fortune 500 and 1000 public and private enterprises, both in the U.S. and internationally. His prior roles included that of CFO and VP of Finance at Domo Tactical Communications (DTC) and EVP of Operations at Chemring (Niitek, 3rd Radar, Chemring Detection Systems). Tom also served as CFO and VP of Finance at Protected Vehicles, Inc. and Force Protection, Inc. In earlier years, he held various positions including Finance Manager, Controller and Director of Finance, at Spectrum Group, Insilco Technologies, KPMG Peat Marwick, Exide Electronics, and Owens-Corning Fiberglas. Tom holds both bachelor’s and master’s degrees in business administration from Miami University and the University of Toledo, respectively.